Peter Sloan Eident describes two of the saddest moments in recent Coast Guard history in his book, Bearing Drift. 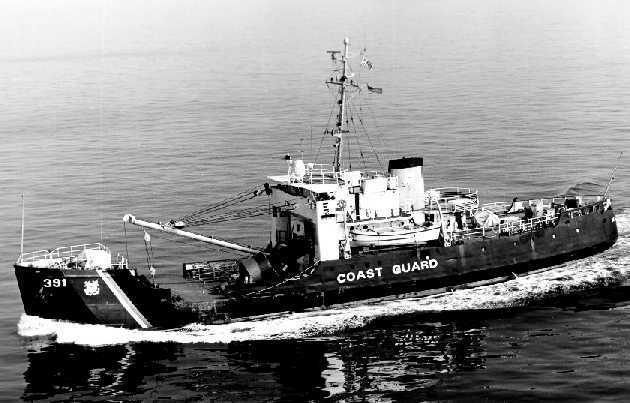 The first was the sinking of the cutter Cuyahoga in 1978 with the loss of eleven lives - then the worst peacetime accident in Coast Guard history. Eident was on the bridge when it happened as part of his training to become an officer at the Coast Guard OCS in Yorktown, Va. 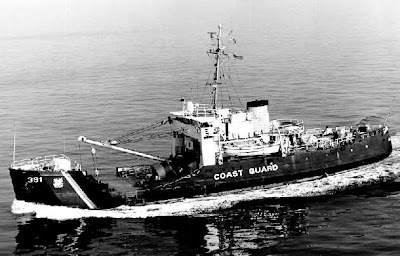 The second moment occurred fifteen months later with the sinking of the Coast Guard cutter Blackthorn and the loss of 23 lives. Since then there have been no cutter deaths of this sort. Both incidents involved collisions with commercial vessels. Both could have been prevented. One vessel was over 50 years old, the other over 40. Neither ship met modern safety standards. Both were underway at night. One captain was exhausted, the other crew was tired. One misread lights, the other didn’t see them. Both slowed down too late. So I settled back, imagined myself at the Captain Kidd Bar in Woods Hole where Peter Eident worked as a doorman before entering the Coast Guard, just sitting there listening to his saga. But then I had startling realization. I wasn’t just reading a book. Peter Eident was describing - with frighteningly familiar references - precisely what I had feared as a member of the Coast Guard seventeen years earlier. At first it was just a matter of “Oh yeah,” as Eident wrote about his days at OCS. I was, to be sure, struck by how much more military the Coast Guard had gotten, but it wasn’t anything that stunned me. 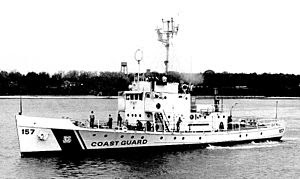 The Coast Guard I knew even let me wear my LL Bean one piece hunting gear on the bridge in the winter – my bunny rabbit outfit, the captain called it – and the relations between members of the service was far more based on earned respect than on rank. What got me was that I was reading the story of a Coast Guard that I had avoided, even if I always knew how possible it was and how I had worried about it. After all, I too had trained on the ancient Cuyahoga, an antique from the days of Prohibition. Later, when I went aboard the cutter Spar in Rhode Island, the nearest search & rescue vessel was the General Greene in Woods Hole. The General Greene was a sister cutter of the Cuyahoga. It had served notably in World War II and may even have sunk a U boat. But now it was so unsafe that the Coast Guard would not let it do any rescues when the weather forecast was worse than small craft warnings. As a result, we did all the heavy weather search & rescue for the region - in a ship that took 45 degree rolls in storms and I slept jammed between my life jacket and my laundry bag. Some fifteen years later the General Greene’s sister vessel, the Cuyahoga, headed up Chesapeake Bay on her disastrous last voyage. And the connection doesn’t end there. My ship, the Spar, was a sister ship of the USGC Blackthorn, whose deadly collision is also well described in Bearing Drift. I was operations officer and navigator and responsible, in tight situations, for the same sort of decisions that failed for the Blackthorn and Cuyahoga. The difference was that I was blessed. The closest we ever came to anything remotely like these two incidents was on a clear day when I was bringing to ship back to Bristol harbor. Down the channel came the Prudence Island ferry. We were 180 feet long, she was bigger. And she was coming down the wrong side of the channel. I blew one blast of the horn, indicating that I wanted to pass like cars on a street, port to port. The ferry blew two blasts -- an illegal cross-signal. She wanted to stick to her side of the channel. I turned to Captain Flynn. "Should we let her go on?" But the captain was mad. "I'll take the conn,' he said. "I stand relieved, sir," I said, and I was. I knew it could be the most important words I had ever uttered. Flynn blew a series of warning blasts and stuck to the right side of the channel; the ferry kept coming straight at us. Then the captain blew one extremely long blast as if to say, "I really mean it, you fucker" and the ferry eased over. We passed but a few feet apart with Captain Jack Flynn and Captain Mannie dePino standing on the wings of their respective bridges, screaming obscenities at each other. That whole incident only took a few minutes, but it, too, could have ended in misery. You don’t forget few minutes like that. There was one final connection. One of our duties was to fuel the Nantucket Light Vessel and take the portion of its crew that was on liberty back to the ship and take the new liberty crowd ashore. The captain, who liked to drink, always got to Woods Hole early in the evening. A third of our ship’s crew went to a bar and, as was not unusual, we would later get underway with a crew only two thirds sober. I don’t remember for sure but it probably was Captain Kidd’s Bar - where Peter Eident had worked before joining the Coast Guard. Sometimes things are a little too close for comfort. Peter Eident’s book tells tales that really happened. As I read it, I found myself immersed in a story that could have just as easily happened to me, but didn’t. I put the book down thinking how lucky I had been.